View our ALL DAY MENU here including breakfast, lunch, healthy kids menu & drinks. We also have flexible off-site CATERING options, click here to view our catering options. Our aim is to serve you the most nutrient dense food imaginable! We only cook with sustainable produce & use organic and local suppliers at every opportunity. We use expeller pressed oils, filtered water & himalayan rock salt, all which are in their most purist state for you, nothing refined, bleached or enhanced in any way. 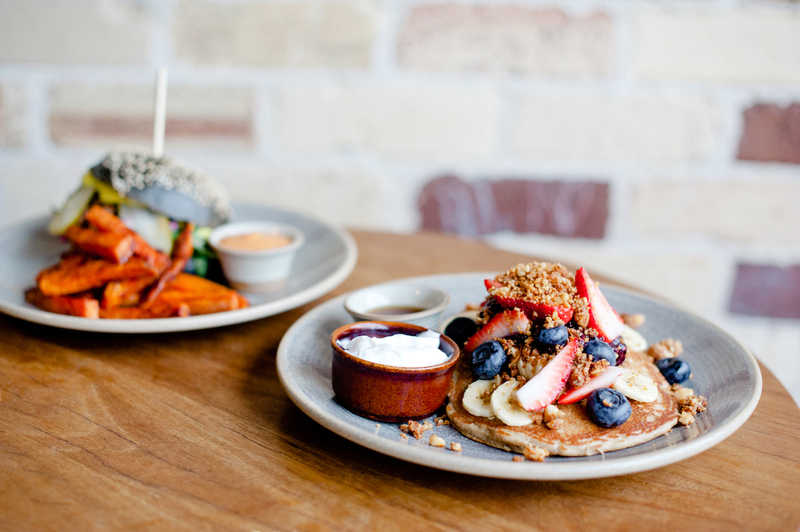 So whether it’s for some not so naughty pancakes, a burger with beef from Glenn Morris’ amazing farm in Inverell or a share platter with organic wine followed by a detox shot board ; ) , we hope to see you soon.